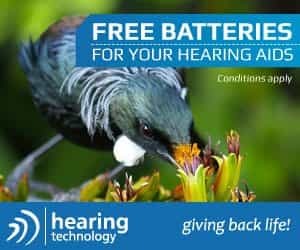 # 45 of 669 Aged Cares in New Zealand. Archer is the people's WINNER for 2015. Thorrington Home offers boutique living in our assisted-living studios, rest home, or memory support (dementia) neighbourhood. Short term (respite) care options are available. We also provide day care programmes. 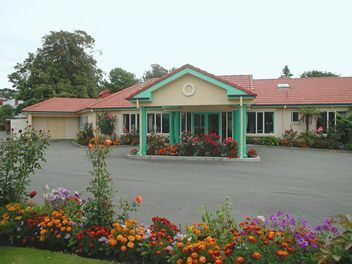 The Archer website states that Thorrington Home - formerly called Santa Maria Rest Home - in Christchurch (which is part of the Archer | Thorrington Lifestyle Village) comprises of a rest home and a "Memory Support" Neighbourhood, commonly known as a Dementia Care Unit. It also says that Archer are registered to the internationally acclaimed "Eden Alternative" model of care. This holistic approach to a residents care also includes resident-centred or person-centred approach to care. 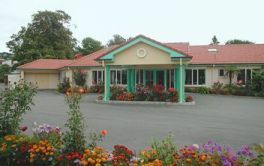 Thorrington Rest Home and Dementia Care is part of the Archer Group of Villages and Aged Care in Christchurch. Thorrington is part of the Archer family, and we support the 'Eden Alternative' model of care support. This is about resident-centred care, where our residents are encouraged to contribute to the daily running of their home. × Have you visited this facility? Help others who are looking for a place by posting a review on Archer | Thorrington Home and Studios or review a different facility now. Friendly staff. Good food. Mum is very happy and that is the main thing. Pain relief not always taken care of at the time. As a family member I have had to demand that this happens. Surveys to family every two months to make sure all is well. Staff are very friendly and do a good job most of the time. We strive to ensure all our residents receive the appropriate care, including pain relief, as prescribed or requested. Please feel free to speak to our Clinical Nurse Manager about any under-performance you feel we have incurred to your loved one. We want to provide the best care, love and family environment for all our residents and their families and friends. bessie480Archer | Thorrington Home and StudiosFriendly staff. On the whole well looked after. Staff helpful and very friendly. Very knowledgeable. Lovely garden with easy access and views outside to gardens. Outdoor eating and bbq area. We take great pride in having lovely gardens for our residents to enjoy, and its nice to know how much our residents appreciate them. In regards to the Wifi, yes, it is available for families and resident's guests to use. Please inquire at our Reception for the logon details. We have reminded staff again of this service to those who visit, so please rest assure Wifi is available. philippa319Archer | Thorrington Home and StudiosFriendly. Good food. Get a pool like Archer! Caring and knowledgeable staff, fantastic meals! So peaceful, you can quite easily fall asleep outside! !